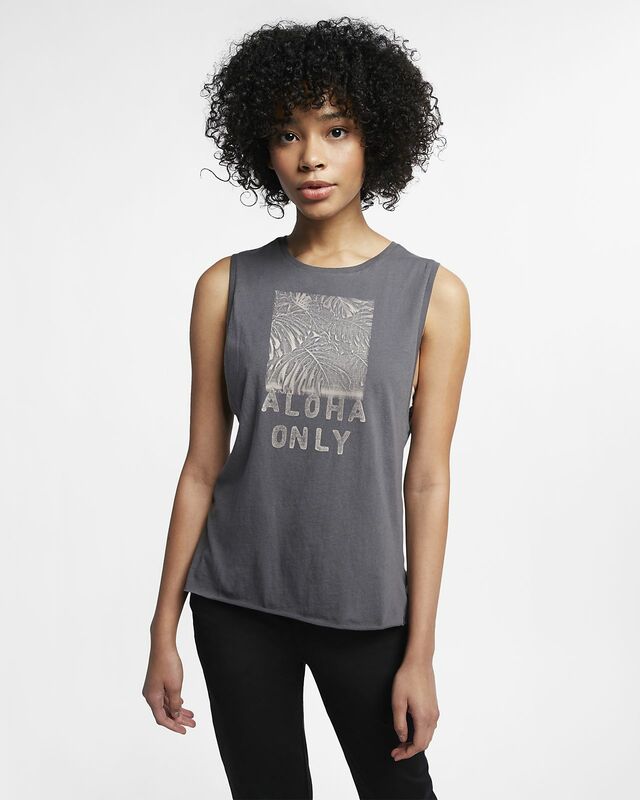 The Hurley Aloha Only Tank features soft cotton in a biker tank silhouette for effortless comfort and style anywhere you go. Cotton fabric has a soft feel for all-day comfort. Low armholes and side slits let you move freely. Have your say. Be the first to review the Hurley Aloha Only.